Are your kids approaching that age where you’d love for them to have a starter phone for safety and convenience reasons, but you’re a little worried about too much Internet accessibility or the expensive cost of a phone and service? If so, Twigby might be a really great fit for you! Twigby is a convenient option for kids (and their parents!) because of their affordability, flexibility, and contract-free model. In case you missed my completely honest review earlier this year, Twigby is a company dedicated to providing fantastic phone service at great prices. 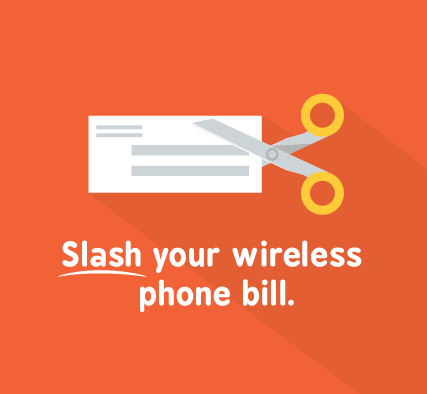 If you’re looking for inexpensive cell phone and service options, I’d highly recommend checking out what Twigby has to offer. They have a referral program. You can email your friends a special link and, if your friend signs up through your link, you’ll both automatically receive a $10 credit 45 days from your friend’s activation date! Read more about their referral program here. Would you like to try Twigby? 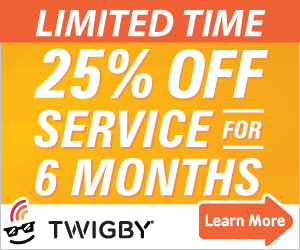 Twigby is offering MoneySavingMom.com readers 25% off your first six months of phone service right now! Go here to get started with Twigby. I’ve been thinking about signing up for this ever since last time you talked about them, seems like the perfect time to go ahead and get this for my son! Thanks for sharing about the 50% off. We got our phones last week. So, far it is exactly what we needed. I got an iphone and my daughter now has a smartphone that I can monitor. I can’t believe how much we used to pay. Just got a phone for 25% off, a free case and free shipping 🙂 Cannot wait to switch to them. Should have phone by later this week. Will let you all know how it is. I just read that this promotion is ending soon. I went ahead and got a phone for my son for Christmas. He is going to Freak when he gets it. We just order our girls two phones. Wanted to let everyone know they now are throwing in free shipping that they guarantee before christmas! nice deal. When does the 50% offer end? I can’t find this on their site. Our contracts are not up until after xmas. I need to switch bad! I’ve been looking into this company since you first shared about them! finally made the switch last month. LOVING it so far!